When Supergirl debuts on October 26 we'll meet one of Kara Danvers' best friends - James (Jimmy) Olsen. 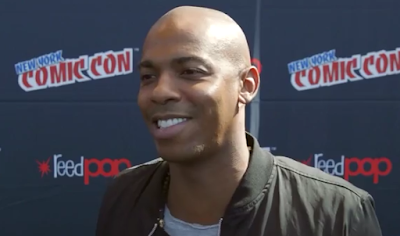 In the CBS series, James is played by Mehcad Brooks, and the actor recently chatted with IGN about the series. In the interview below, Mehcad drops some intel on this updated version of the long-time DC Comics character. Be sure to listen for Mehcad explaining the "Bro Code" James has with Supergirl's cousin - The Man of Steel, himself.